So the new Superman movie, Man of Steel, made it’s theatrical debut on Friday. To celebrate, I thought it would be fun to do another Superman Week. I convinced CT over at Nerd Lunch and Robert over at To The Escape Hatch to join along. So leap in a single bound over to those wonderful blogs and see what Superman content they are offering up this week. 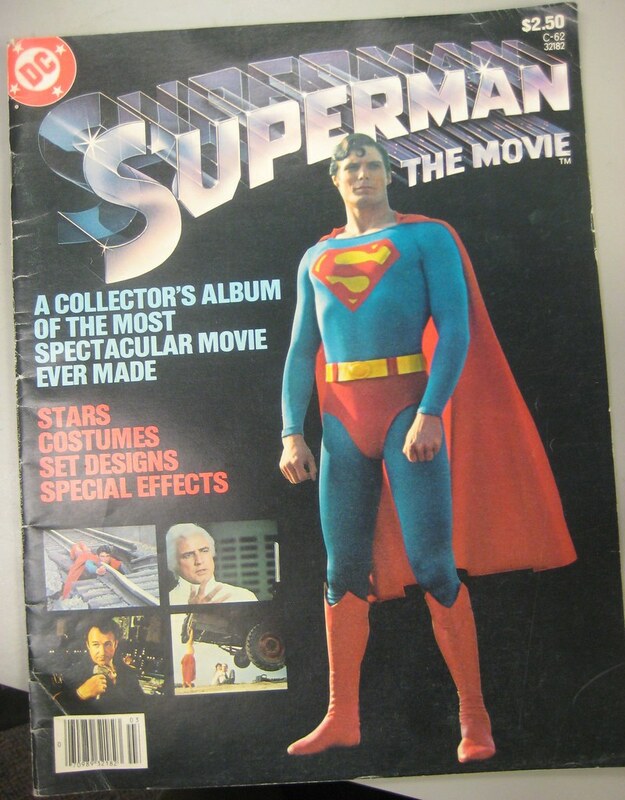 As for me, today I’m going to start off this year’s Superman Week with a look at the special souvenir magazine DC released for Superman the Movie. This particular magazine was released by DC in tabloid size, so the thing is gi-normous. It’s too big for my scanner, in fact. So I had to take some pics with my camera and I’ll just have to show you those. Click any of the images to see them BIGGER on Flickr. These are the front and inside covers of the magazine. Nice, glossy pages. I especially like the photo montage on the inside cover with the movie-stylized “S” in the middle. It helps that there’s an awesome pic of the bikini-clad Valerie Perrine in the montage. 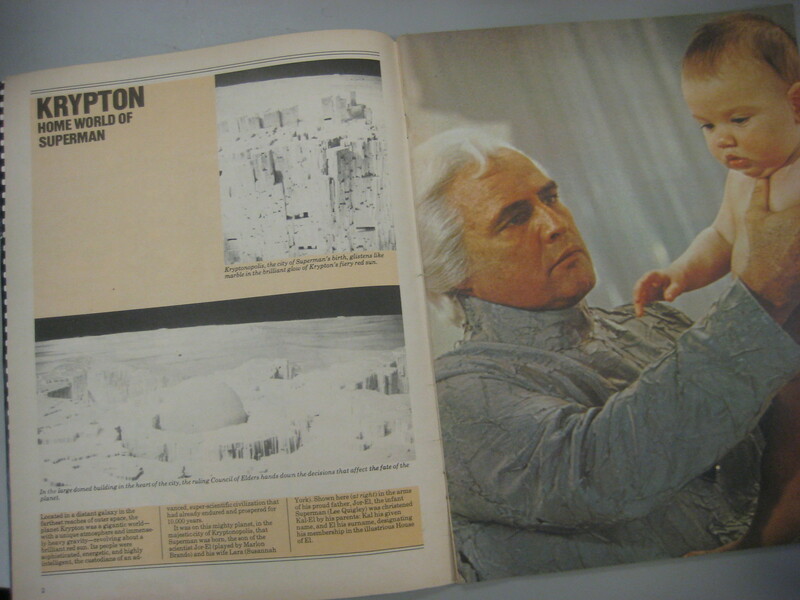 Here’s a nice pic of Marlon Brando as Jor-El. What this magazine does well is to provide information from the movie and then provide information from the comic to compare it to. It even includes artwork from the comics. This particular section is talking about Krypton and comparing the different versions from the movie and the comic books. 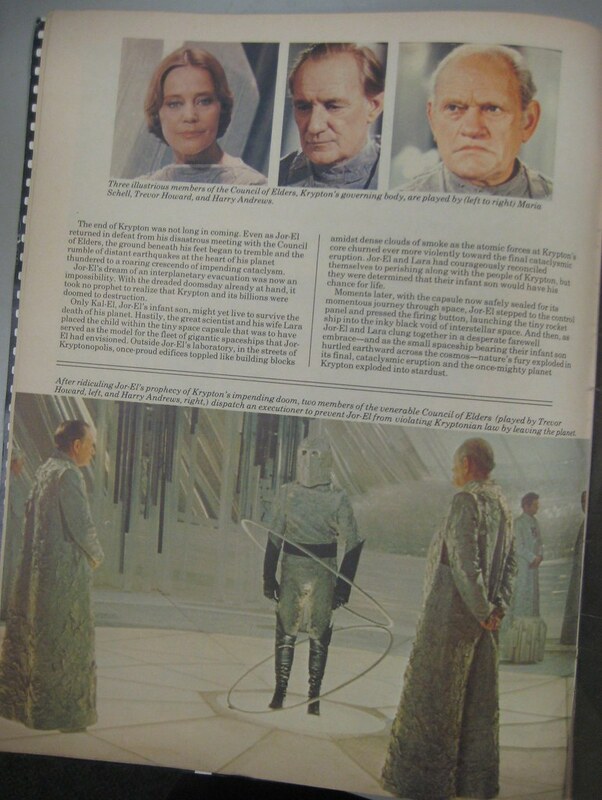 In the Krypton section we get some more info on the three Kryptonian Judges who sentence Zod to the Phantom Zone. 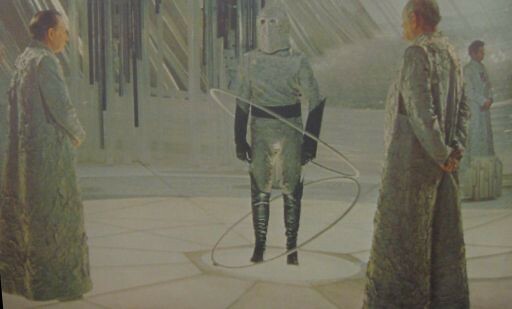 We also see a pic of a deleted scene involving the three judges dispatching a Kryptonian “executioner” to stop Jor-El from launching the rocket with his son (bottom of page). Here’s a closer look at that oddly dressed “executioner”. Just before filming began on the movie, DC Comics had a contest called The Great Superman Movie Contest. DC asked kids to spell out words by cutting out letters from their comics (yes, they were encouraging kids to DESTROY THEIR COMICS…it was the 70s). Two winners got a cameo in the movie. 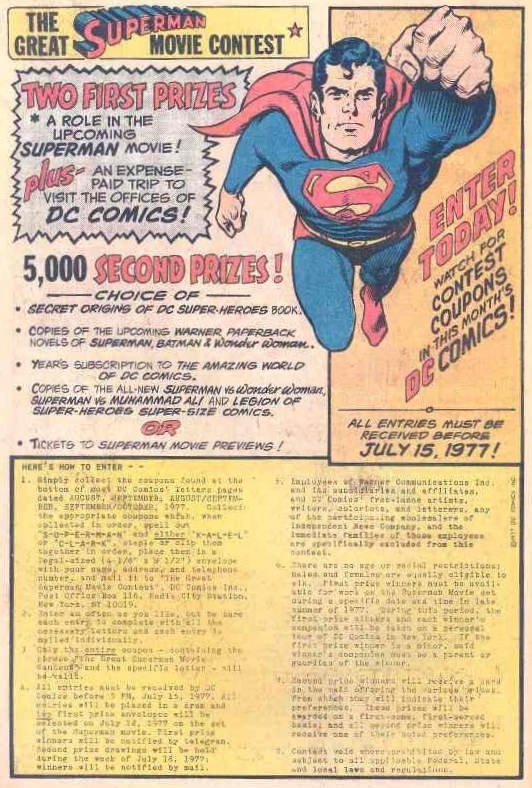 The ad for the contest appeared in DC comics in 1977. This is what one of the ads looked like. 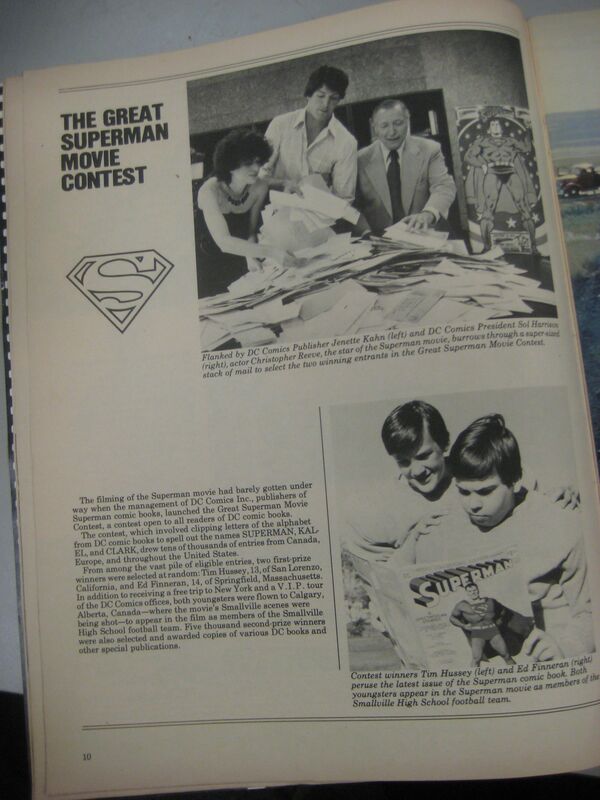 Below is a page in the movie magazine that shows pictures of Christopher Reeve and the then-president of DC Comics sorting through contest entries trying to pick the winners. 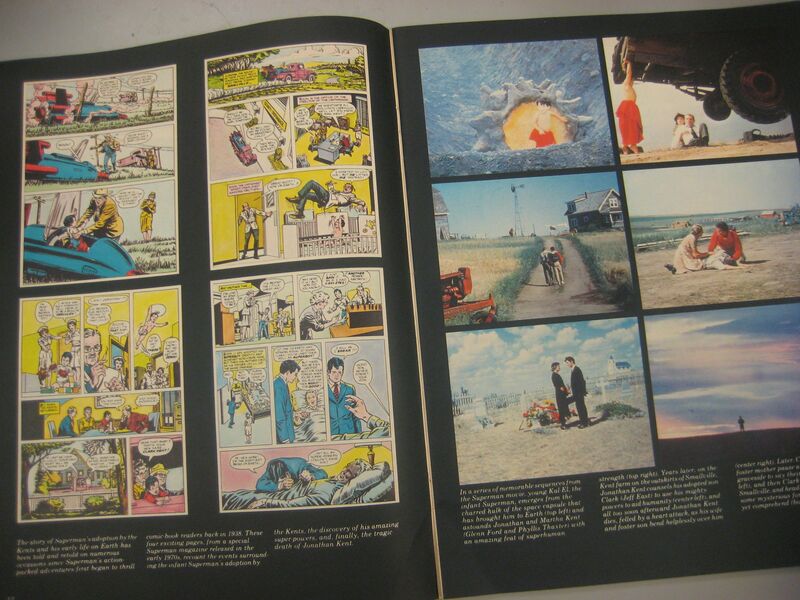 The eventual winners are shown in the bottom picture looking at an issue of Superman. The two boys would cameo in the Smallville football scene with the teenage Clark Kent. There are two really nicely laid out pages featuring the discovery of Clark by the Kents. One side is the depiction in the movie and the other side is the depiction in the comics. Very nicely done. 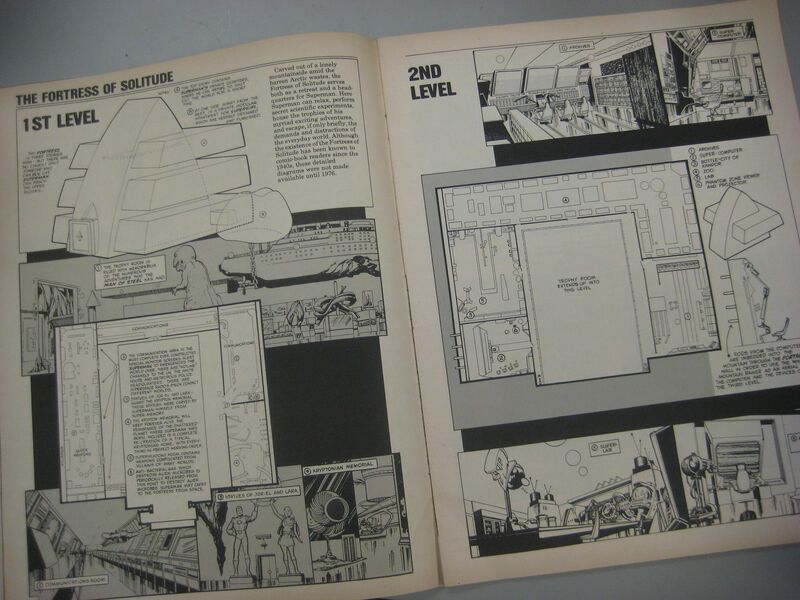 Here is another two page spread featuring the structural plans of the Fortress of Solitude from the comic books. Supergirl even has a small apartment there. 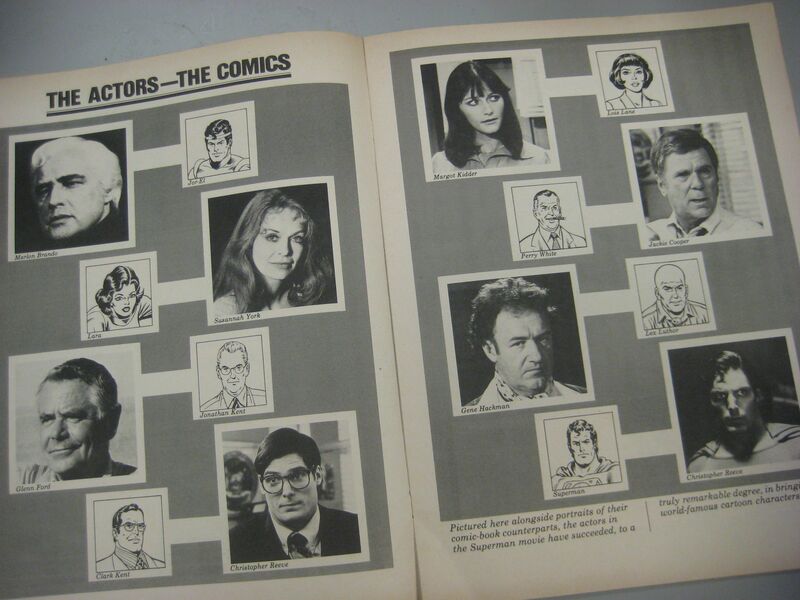 A spread featuring the actors in the movie next to their comic book counterparts. Here are some cool costume designs for the movie. You see Superman, Jor El and even Ursa, one of the Kryptonian criminals, who only has a small part in the first movie. Here’s the glossy interior and exterior back cover with publicity pics. 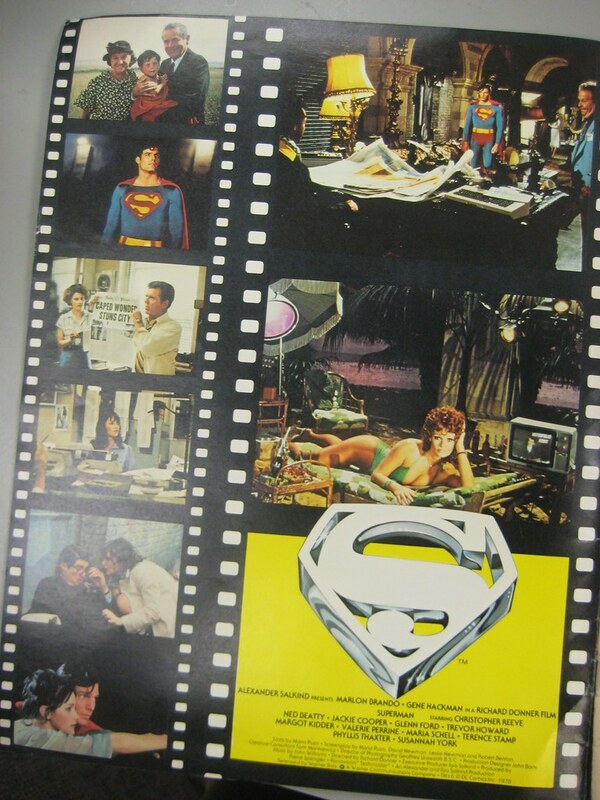 On the inside back I love the pic in the upper left with Jor-El and the three Kryptonian criminals. You also get some good Kryptonian destruction shots. The back cover is just your standard publicity shot of Christopher Reeve you’ve probably seen a thousand times already. So there’s the Superman the Movie movie magazine. I didn’t show you all the pages, just the “money” ones. There is literally a TON of information in this book. I really enjoyed reading it. Stay tuned, for tomorrow on Day 2 of Superman Week we have a new episode of Nerd Lunch in which we discuss……wait for it…..Superman. 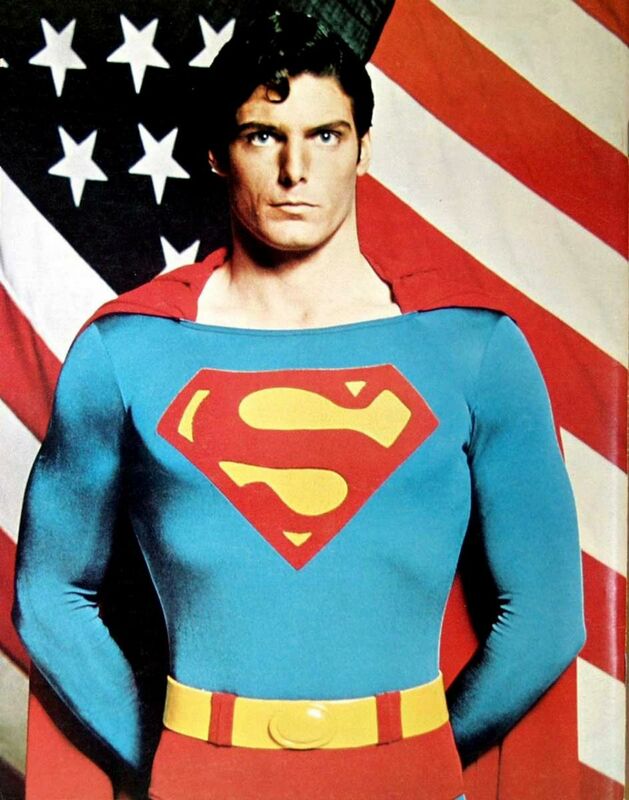 This entry was posted on June 17, 2013 at 8:00 am and is filed under comic books, movies, Superman with tags Christopher Reeve, comic books, DC Comics, magazine, movies, pop culture, Superman, Superman Week. You can follow any responses to this entry through the RSS 2.0 feed. You can skip to the end and leave a response. Pinging is currently not allowed. Really cool read man, thanks for posting! Look forward to what comes next this week! !